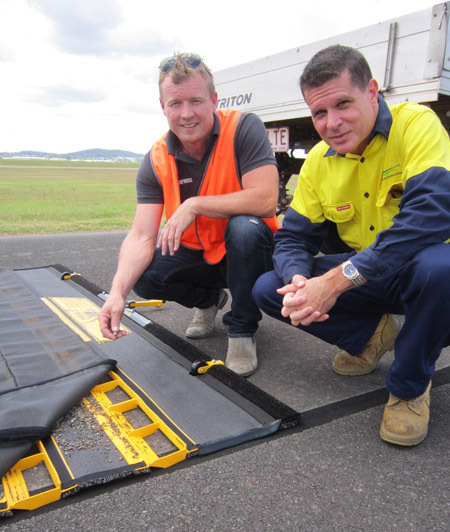 The very first of the new generation Foreign Object Damage (FOD) sweepers to be invented, patented and manufactured in Australia has been presented to Archerfield Airport. The FOD* BOSS sweeper, which uses the force of friction and specially designed brushes to quickly sweep debris from airport runways, taxiways and aprons, will improve safety and runway maintenance at the airport. The Phase 4 FOD*BOSS was offered as a prize during the Australian Airports Association Airport Safety Week in October, and was won by Archerfield Airport Groundsman Jaimie Harrison.